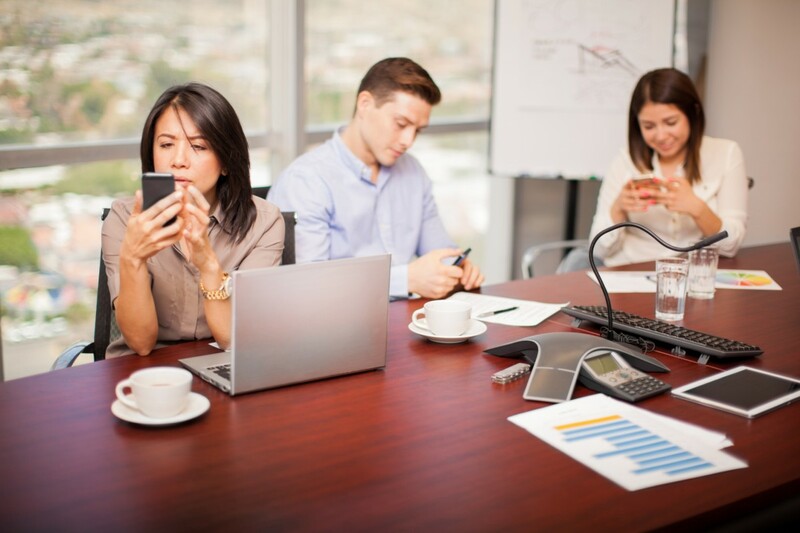 To tackle the biggest work challenges, it’s vital to reduce distractions. In today’s Internet-connected world, it is easier than ever before to spend time without thinking deeply. Texts, tweets, Facebook posts, emails, web stories: they all serve to attract your attention and keep your mind flitting from one item to another. For many people, mobile phones have become an addiction, checked at every opportunity. When life becomes just a little boring, out comes the phone. There’s nothing inherently wrong with this. But if your job requires intellectual effort, then it’s vital to be able to focus on the most difficult challenges. I coordinate a “high-output writing programme” based on research by Robert Boice and Tara Gray about how to become a productive researcher. The core of the programme is daily writing. I recommend 5 to 20 minutes writing “new words” and then additional time revising previously written text, reading, collecting data and all the other components of research work. Facebook and email can be addictive: “I’ll just check to see if there’s anything important.” One link leads to another, and hours can go by. This undermines the commitment to writing. In this context, I was attracted to a recent book titled Deep Work. 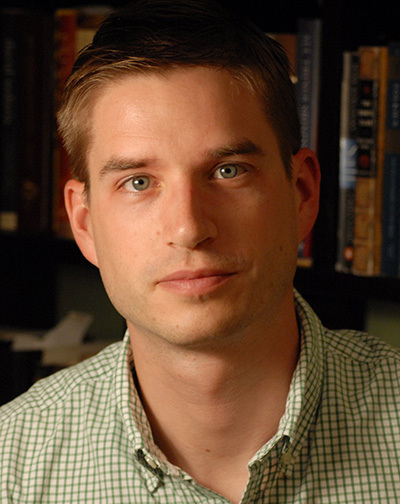 The author, Cal Newport, is a US computer science professor, and a writer. For him, “deep work” refers to intellectual work focused on the most difficult parts of the job. His basic contention is that by devoting more time to deep work, you can dramatically improve your productivity. Deep Work is aimed at white-collar workers in large US businesses, the workers who are supposed to be contributing to productivity through their ideas. Newport says “Deep work should be a priority in today’s business climate. But it’s not.” (p. 70) He gives several reasons for this, including that less taxing tasks are more enticing, that looking busy has become more important than achieving goals, and the assumption that everything to do with the Internet must be worthwhile. You may think, “Well, this book isn’t for me, because I’m not a high-level brain worker in business.” This is a legitimate response, but there’s also a different approach. Rather than judge a book overall, either accepting or rejecting it, instead I often look for useful ideas. Sometimes an author’s work may be flawed, largely irrelevant or just plain annoying, but still there are some valuable things to learn from it. 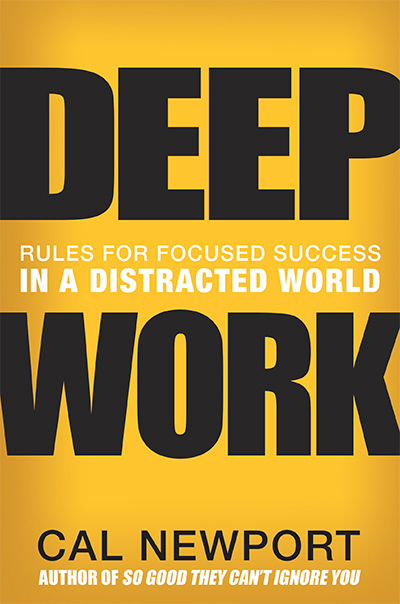 There are two aspects to increasing the amount of deep work: devoting more time to it, and cutting back time on the more trivial activities, called “shallow work.” Newport tells of some leading figures who cut themselves off from interruptions entirely, for days, weeks or even months at a time. How do they do it? They have assistants who answer messages. This isn’t practical for most people. 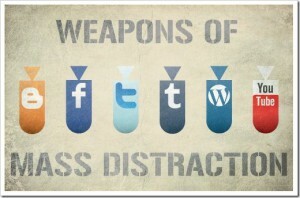 But it does provide a useful pointer: think of ways to protect yourself from distractions. Newport addresses collaborative work, which has the advantage of sparking ideas. Nevertheless, he recommends separately undertaking individual deep work and, when interacting, for collaborators to push each other towards thinking deeply. Newport, with young children at home, a demanding job and the self-imposed task of writing books, nevertheless finishes work at 5pm. He advocates working hard when you’re working and then finishing, and being sure to get plenty of rest. For intellectual work, good quality sleep is vital. In essence, deep work involves concentrating intensely on addressing an issue or task. It is thinking. Concentrating intensely doesn’t happen automatically. It requires practice to do well. And you can’t do it well, or even practise, if you’re being distracted. 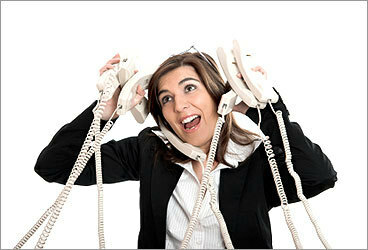 Constant distractions, such as reading online posts, make it harder to concentrate even when you have the opportunity. Deep work requires training. What counts as deep work? If you’re writing a thesis, thinking about the structure and key arguments is deep work whereas attending to emails is not. This much is obvious, but what about other sorts of tasks? Newport provides a useful test: figure out how much training would be required for someone to do the task for you. To prepare someone else to undertake your thesis would probably require years of training, whereas to train someone to sort through your emails, deleting some and selecting others as high priority, might take only a few days or weeks. This criterion can be used when trying to decide whether something you’re doing is high or low priority in your deep-work time. What about the problem that you have so many demands on your time that you can’t set aside much for thinking deeply? Newport creates more deep-work opportunities by undertaking focused thinking during daily tasks like walking the dog. One of my PhD students, who had a very busy life, used to think through her topic while doing the ironing. Other possible opportunities are while swimming or standing in a queue. To make full use of such opportunities, it’s necessary to prepare by developing lists of topics to think about, preferably the most challenging ones. Few people do this. My guess is that very few of the people you see checking their phones are thinking deeply about anything. Newport developed a method for reducing the number of Internet distractions. For any particular service, such as Facebook or Twitter, he says to stop using it for a month, and then to ask two questions. If answers to both questions are no, then you should quit permanently. Newport says social media are particularly damaging to possibilities for concentrated thinking. In order to have more time for deep work, it’s important to schedule all your time so it is not frittered away. To schedule every minute might seem constraining. But scheduling is compatible with doing things you find satisfying. When you’re in the moment doing something, you’re not thinking of whether or not it was scheduled. One of Newport’s counterintuitive recommendations is to schedule your leisure time. Often, leisure opportunities are frittered away in doing what seems easiest at the time, and end up being unsatisfying. When you read about that’s required to engage in plenty of deep work and become highly productive, you might think “Is it really worth all that effort?” Newport has an answer: deep work is satisfying. 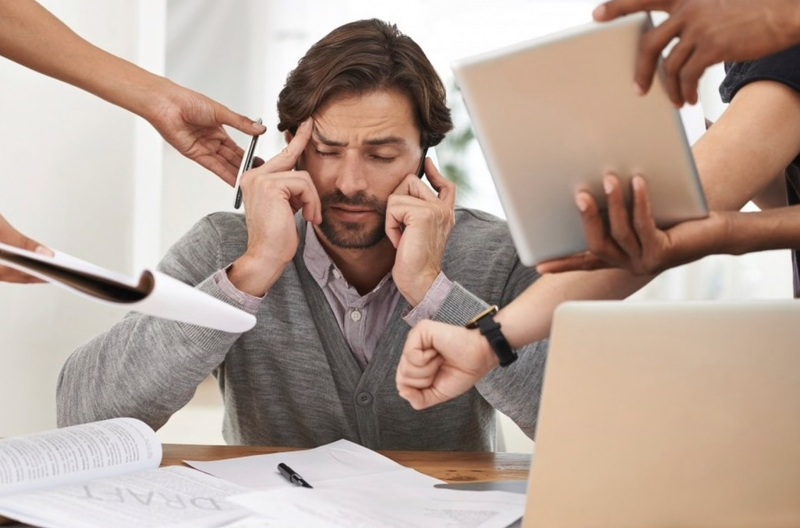 Engaging in it can involve what Mihaly Csikszentmihalyi calls “flow,” in which you are totally absorbed in exercising a skill at the limit of your ability. More generally, research shows that if you want to be happier, you need to put effort into practices known to improve happiness, such as physical activity, expressing gratitude and being mindful. This clashes with a common belief that happiness simply happens when you do pleasurable things. Having a purpose in life and working towards it brings satisfaction. Newport comments that “The deep life, of course, is not for everybody. It requires hard work and drastic changes to your habits.” (p. 263) It’s easier to engage in social media and other shallow activities and uncomfortable to try to achieve your very best, because you might not measure up to your expectations. But it can be satisfying in a deep way. Thanks to Anne Melano and Holly Tootell for valuable comments.